Helios Gallery is a member of the Antiquities Dealers Association (ADA). The ADA is a corporate member of the Museums Association and on the board of the British Art Market Federation. Ancient pottery vases from Athens and Classical Magna Graecia; also Minoan, Mycenaean, Corinthian, Boeotian and Laconian antiquities. Ancient ushabtis, scarabs and amulets; also fragments of stone or wood carvings or delicate faience artifacts. 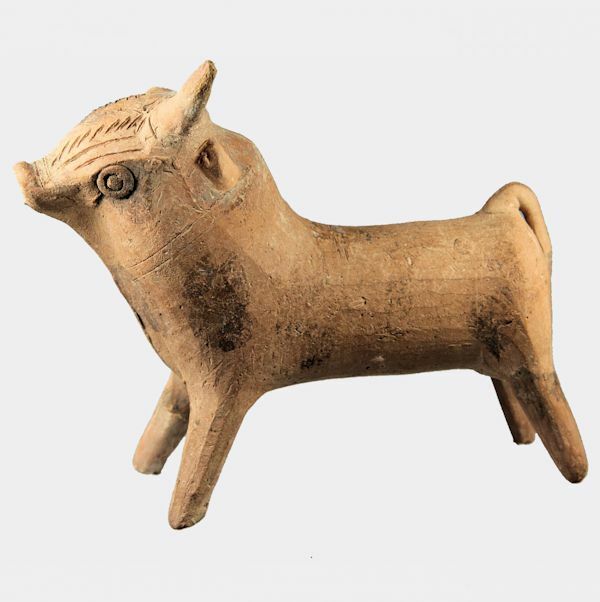 Neolithic period through to the Coptic era. Varied artifacts from Rome and its vast empire including pottery utensils, marble statue fragments, bronze figures and exquisite glass vessels. Ancient pottery vessels and figures as well as occasional limestone sculptures. Objects date mainly from the Bronze Age, Iron Age and Cypro-Archaic periods. Ancient art from some of the earliest cultures in Mesopotamia, Anatolia and the Levant. Artifacts from Biblical cultures; amulets and seals from Babylonia, Assyria and Sumer. Antiquities from a huge variety of cultures ranging from Medieval Indian sculpture to Italic or Iberian artifacts. European Palaeolithic or Neolithic stone tools, Bronze Age or Iron Age vessels and utensils. Icon Box Helios Gallery Antiquities - Ancient Jewellery catalogue Ancient Jewellery Classical Greek and Roman gold jewellery, also Egyptian faience bead necklaces or ancient artifacts which have been adapted into modern wearable jewels. Wonderful website, one of the best between the archeological galleries websites. Really a great job, Rolf! An honest and serious dealer like You deserves all the best. I have been purchasing antiquities from Rolf and Sam for 12 years. They are highly trustworthy and knowledgeable. They source antiquities with good provenance and are scrupulous in their attention to detail. The condition of each item is properly described and their prices are very fair. I have never had to return an item and I am very pleased with everything I have purchased. Excellent in every way! As a customer of Helios Gallery, I can only testify their honesty, seriousness and will to attend the Collector. In such a field of collecting, where one encounters so many fakes, such a wise seller who, besides, is also an expert who you can trust, is priceless. Don't forget to take a good look into their very interesting catalogue of pieces, that anyone will gain in consulting. When I was hopeful to start a modest collection of Egyptian Antiques, it was a real minefield to find honest, fair and authentic sellers within a market which is abundant of fakes and con artists. Fortunately I stumbled across Helios Gallery and found an absolutely stunning amulet from Rolf, it was exactly what I was looking for and fairly priced too. Rolf has provided nothing short of an exceptional service, communication to the highest standard and left me feeling confident about pursuing an interest in antiquities. The piece arrived the next day, well packaged and was more beautiful than in pictures. I can't offer my thanks enough to Helios Gallery Antiquities for a wonderful start to my collection and I would definitely recommend them.